In this day and age, there are plenty of reasons to stay awake. Our workaholic, technology-infused culture in constantly tempting us to sacrifice sleep for stimulation. In 2016, the Center for Disease Control published a study finding that as many as a third of adults living in the United States of America are not getting enough sleep at night. Wayne Giles, M.D. and director of the CDC's Division of Population Health, stated, "As a nation, we are not getting enough sleep." Why aren't Americans getting enough sleep? What can I do to get a quality night's rest? Between stimulants like coffee and alcohol, external lights like the glow of a phone or computer, and noises like car engines and alarm clocks, its no wonder that our circadian rhythms are having difficulty finding natural and healthy tempos. Regarding the consumption of stimulants, over half of the American population regularly drinks alcohol and about 64% drinks at least one cup of coffee on a daily basis. These high numbers could explain part of the reason why sleep is being sacrificed in the United States. 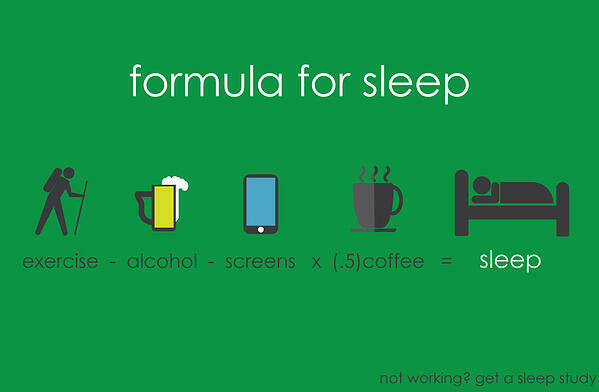 Numerous studies have shown the drinking coffee and alcohol can have a detrimental impact on quality of sleep. An individual who drinks 100 mg of caffeine at 4:00 p.m. will still have 50 mg of caffeine in his or her system at 10 p.m. making it difficult to fall and stay asleep. Concerning alcohol, the National Sleep Foundation asserts that it can interrupt circadian rhythms by blocking REM sleep, aggravating breathing problems, and leading to extra bathroom trips. The increase of external or artificial lights is another reason why people are having difficulty getting enough sleep. Exposure to light in the bedroom prompts people to stay up much past their natural bedtimes. Brain wave patterns, cell regulation, and hormone production are directly impacted by lights. According to an article by Everyday Health, Phyllis C. Zee, MD, PhD, and neurology professor at the Feinberg School of Medicine at Northwestern University and the director of its Sleep Disorders Center in Chicago stated, "With artificial lighting, we've been able to fool our brain and internal clocks that it's still daylight and remain alert. Bedtimes have become later, but wake times have not. The result is a sleep-deprived society." Finally, the amount of noise that Americans are exposed to strongly affects the amount of sleep someone can achieve at night. Environmental noises such as traffic sounds, trains, airplanes, and wind turbines can cause sleep disruption. In fact, the World Health Organization estimates that Western Europeans lose one million years of healthy life due to traffic-related noise. A review published in the Noise & Health journal says that even low-level noises may impact health due to sleep disturbance. Now that we know what kinds of things are compelling Americans to lose sleep, how much sleep should we really be getting and how much sleep is being lost? 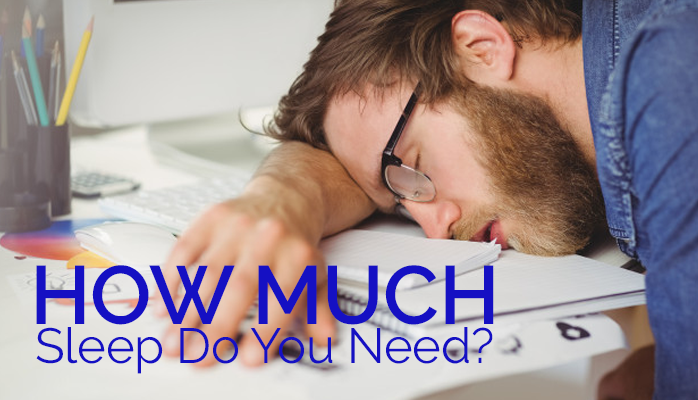 Given these appropriate amounts of sleep, the average American only gets 6.8 hours every night. Shockingly, 40% of Americans sleep 6 hours or less. If you're an average American adult getting less than 7 hours of sleep at night, it's important that you consider making lifestyle changes so that you can rest well and avoid health complications due to fatigue. There are many ways to adjust and change your habits so that you can sleep longer and more soundly once your head hits the pillow. Cut out or decrease stimulants like coffee and alcohol. If you stop drinking coffee and alcohol during the day, there's a greater chance of achieving a solid night of rest once you go to bed. Instead of stimulating your nervous system, work to drink calming teas such as chamomile or lavender to relax your body and prepare it for sleep. Make your bedroom as dark as possible. Turn off all lights and make sure that you aren't exposed to the blue lights of phones or computers. If you need to, cover your windows with black-out curtains. If you can reduce lighting and completely darken your room, your body will produce melatonin and allow you to relax. Do what you can to reduce noise. Ask other people who live with you to turn down the volume on the television and stay off the phone after you turn off the lights. If you need to, purchase a pair of earplugs to block out environmental noises from cars, planes, and trains. Don't take long naps. If you nap during the daytime, make sure that they are "power naps" (between 10-30 minutes). While power napping has been shown to be energizing, long naps can negatively affect sleep by confusing your internal body clock. Create a consistent schedule. By waking and going to sleep at the same times, you can successfully align yourself to sunrise and sunset and achieve 7-9 hours of shuteye on a nightly basis. Irregular sleep patterns have been shown to disrupt circadian rhythms and decrease levels of melatonin. Therefore, do your body a favor and get into the habit of rising and falling with the sun. Consider helpful sleep supplements. Some people need more help in getting the proper night's rest. Luckily, there are a number of natural sleep supplements that can help. The most well-known sleep aid, melatonin, allows people to fall asleep quickly and achieve better sleep quality. Other supplements such as gingko biloba, glycine, valerian root, magnesium, l-theanine, and lavender have been shown to help people fall and stay asleep. If you or someone you know is suffering from a lack of sleep and have found that making lifestyle changes hasn't helping, a sleep disorder may be to blame. Insomnia is a diagnosable condition that may be beyond an individual's control to cure. If you've found that you can't getting a proper night's rest, it would be wise to consult with a certified sleep specialist. At the Anchorage Sleep Center, professionals can help analyze your symptoms to help you achieve the recommended number of hours of sleep per night and eliminate daytime fatigue. If you are interested in getting in touch with an expert, send us a message online to set up your first appointment.